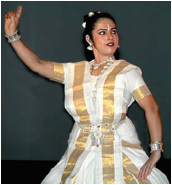 applauded all over India and places abroad. 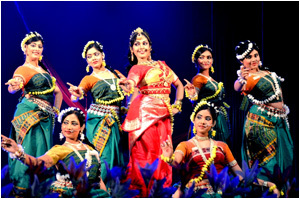 Jugmadwanda Pallavi, Hanswadhani Pallavi, Shankara Pallavi, ‘Krishna Tandava’, ‘DurgaStuti’, Bajrakanti Pallavi, ‘Mare Bana Dhara’ (Oriya Abhinaya), ‘Kuru Yadu Nandana’, ‘Lalita labangalata’ , Swagatam Krishna, ‘ArdhaNarishwar’, ‘Rupang Dehi’, ‘Shiva Tandava’ – ‘Jata Tabi’, ‘Nagendra Haraya’ , ‘Ganesh Bandana’, ‘Dasavatar’, ‘Raase Harim eha’ & other Odissi items. 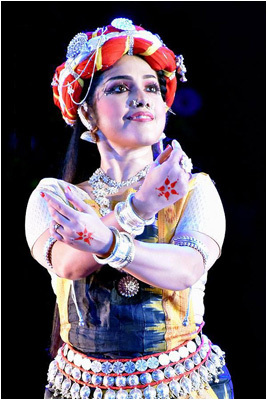 Traditional and delicate compositions on Odissi Dance against a vibrant music backdrop recreates a treasured experience altogether. 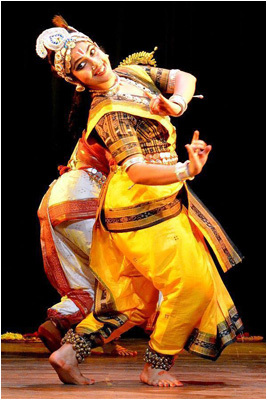 2) ‘TARANGINI’ – An Enchanting Journey of Odissi : The incessant flow of Odissi dance through ages starting from the ancient to the medieval and to the modern times like a river – ‘Tarangini’, the journey continuous imbibing different changes in costume, musical instruments, dancing patterns yet maintaining the true spirit of Odissi. 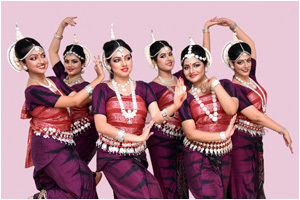 We, the Kolkata Mayur Lalit Dance Academy celebrate this mesmerizing Indian heritage. 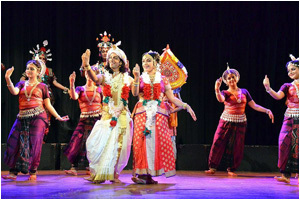 Uniqueness of this dance drama is innovative composition of Odissi dance on Padabali Kirtan. 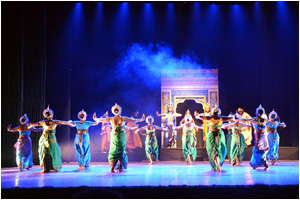 Based on Padabali Kirtan showing the joyous mood where the Gopinis dance with Krishna in a moonlit night of autumn beside the river Yamuna. 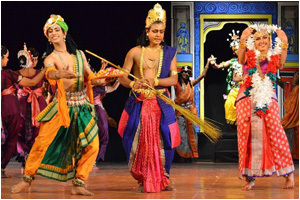 In a traditional Kirtan style the dance drama begins with ‘Gourchandrika’, an invocation to Sri Chaitanya dev and ends with ‘Maatan’ where all the ‘bhaktas’ enter the stage in a Sankirtan style with Khol, mandira and flowers. 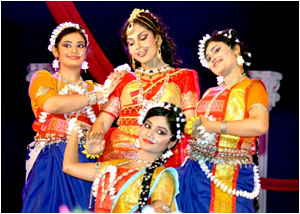 ‘Sringar rasa’, the love for Krishna melts into devotion between man and the almighty. 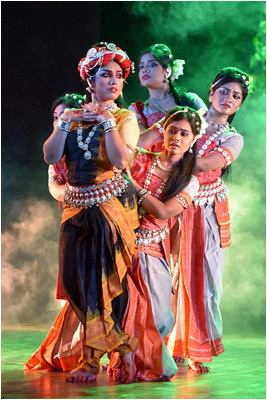 4) Dance Drama – ‘MEGHDOOTAM’ – The Sanskrit classic by Mahakavi Kalidasa has been aesthetically choreographed by Debamitra Sengupta in Odissi stylized composition. 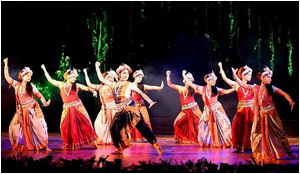 The exquisite music, songs, the gorgeous costumes, jewellery and lighting adds to the grandeur of the splendid choreography – hugely applauded by all. 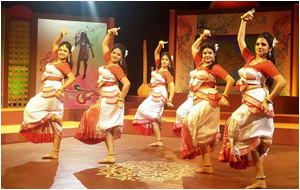 (There are 2 versions of the audio with English and Bengali narrations). 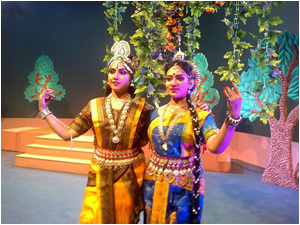 5) Dance Drama – ‘DRAUPADI’ : A very noteworthy classical production on Sanskrit exploring the different facets of Draupadi's phenomenal character from the epic ‘Mahabharata’. 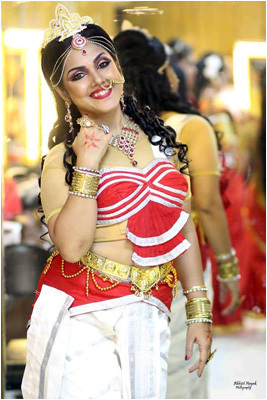 Intense and vivid dance choreography on a very vibrant music composition and the soulful rendition of Debamitra Sengupta as ‘Draupadi’, the enigmatic woman of substance, sets it apart altogether. 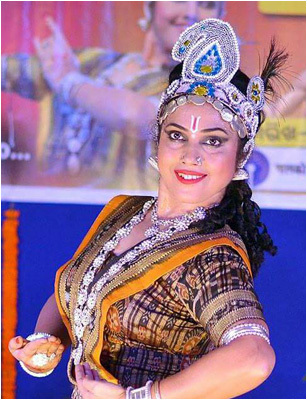 6) Dance Drama – ‘PADMAAVATI’ : Based on the famous Odiya legend ‘Kanchi Bijay’, ‘Padmavati’ is the pioneering effort by Debamitra Sengupta to present this Odiya legend in a full fledged Dance Drama format. 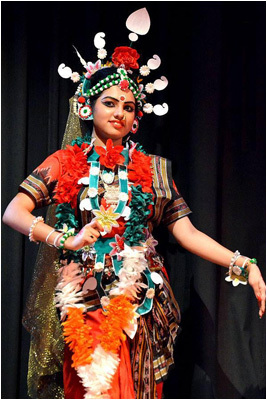 The love story of a king and a princess - ‘Padmaavati’, the cheerful princess of Kanchi, is an embodiment of beauty and virtue. 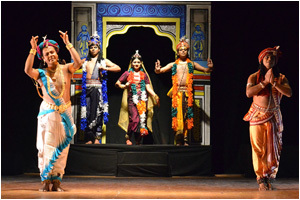 Gajapati ‘Purushottama Deva’, the handsome and valorous king of Puri, ruling over Anga, Banga and Kalinga, hears about the princess, and falls in love with her, and the drama unfolds. 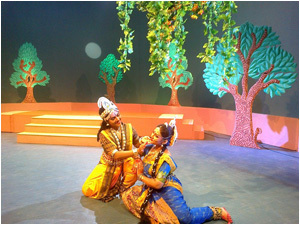 Various interesting dramatic twists, battles, intense emotions make this production a unique one. 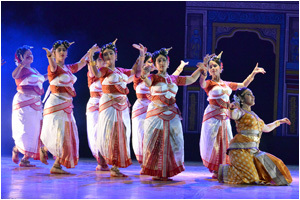 7) Tagore Dance Drama in Odissi Style : ‘CHITRANGADA’, innovatively composed bi-laterally on Kabiguru’s creations, (Kabya-natya) – ‘Chitrangada’ along with the dance drama (nritya-natya) – ‘Chitrangada’. 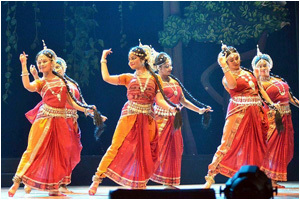 We have designed our presentation to render a two-dimensional flavour of the chastity of pure Indian Classical dance as well as the indigenous Rabindrikflavour. 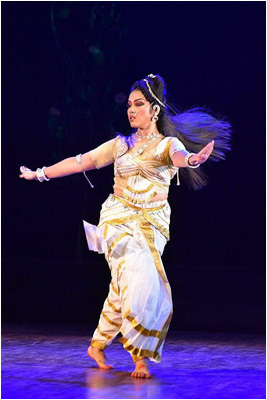 8) Tagore Dance Drama in Odissi Style : ‘SHYAMA’ – A very gorgeous presentation of this noted Tagore’s dance drama in Odissi stylized innovative choreography by Debamitra Sengupta. 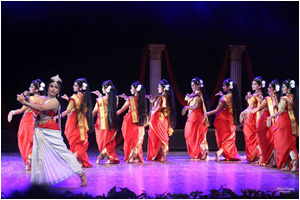 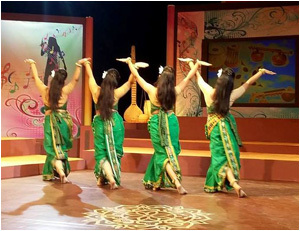 9) Tagore Dance Drama in Odissi Style : ‘SHAPMOCHAN’ – A very unique presentation of Tagore’s dance drama in Odissi stylized innovative choreography by Debamitra Sengupta. 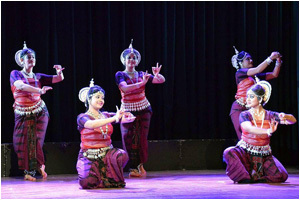 10) ‘BISWA BHARA PRAN’ – A Rabindrik Nritya Geeti Alekhya, exquisite dance composition in Odissi Style on compilation of selection of Tagore’s Songs representing the resources of Natural Power (Kshiti, Ap, Tej, Marud, Vyom) derived from the Cosmic Energy generatedby Lord Shiva during His Ananda Tandava……. 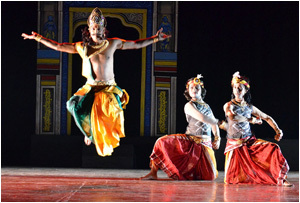 11) Odissi Solo Enactment – ‘MEGHNAD BADH’, based on Michael Madhusudan Dutta’s ‘Meghnad Badh Kabya’. 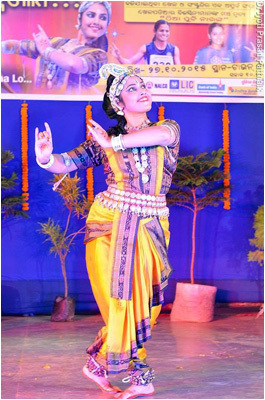 Exquisite dance choreography by Debamitra on eloquent recitation against a vibrant music backdrop recreates a treasured experience. 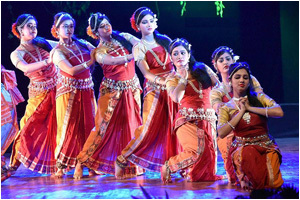 12) Nritya-Geeti Alekhya ‘HRIDI BRINDABANE’ – A Tribute to Dilip Kumar Roy through the Idiom of Odissi dance, based on a selection of ‘Meera Bhajans’ and ‘Krishna Vandana’ Composed by the eminent poet, composer, singer Dilip Kumar Roy and his illustrious father Dwijendralal Roy.